Pepperpot are a highly successful due who strive to give you the most professional experience from booking right through to your gig. Between them Brian and Darin have over 30 years experience in the music industry and can cater to any event, large or small. Having learned hundreds of tracks over the years, ranging from traditional Scottish and Irish to modern chart hits, your setlist is guarenteed to have something on for everyone at your event. Pepperpot was formed in the summer of 1982 when Brian Lyons and Darin Bell struck up a friendship through the love of music. At 17 Brian had secured a regular Friday night spot in the Ship Inn down near the harbour in Arbroath. It was here that Darin joined Brian for a song one night. From this They decided to rehearse and learn a few songs. This flourished into regular practice sessions and ultimately gigs in the ship, the angus bar, the windmill lounge bar and the lobster pot in Auchmithie. 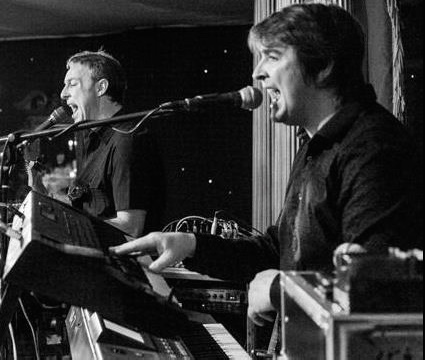 They have performed over the length and breadth of the uk and Ireland and Over the years have also appeared alongside such artistes as the late great Andy Stewart, the Alexander brothers, The Average White Band, Mick Foster of Foster and Allen and various top comedians and caberet acts. With their bright personalities and full sound, Pepperpot will bring a real kick to your special day.